Car Dealer Website – Budds’ BMW Oakville. When you are looking for a car dealer website in Oakville it is important that you do your research on the company and make sure they have a good track record of customer service. Budds’ BMW Oakville always offers our customers world-class quality customer service from the moment you step foot into the dealership, and that does not change for our online inventory. When customers in the Oakville area are looking for quality vehicles new and used, they typically look for a car dealer website in Oakville that has a big inventory of many types of vehicles. Budds’ BMW Oakville provides this for our valued customers, as we have a massive inventory of quality new and used vehicles for sale. BMW is known world wide as a premium brand, and Budds’ BMW Oakville has plenty of premium performance vehicles in its online inventory. As a car dealer website Oakville, Budds’ BMW Oakville is clean and organized, and out customers can easily navigate page by page and find the vehicle they are searching for. Our new vehicles are listed with plenty of information so that the customer can become well informed about our vehicles. We have 2016 vehicles and current 2017 vehicles all listed with plenty of information and filter options so you can narrow down your search. You can also book a test drive right from the website by clicking on the green ‘book a test drive’ button beside the premium vehicle you are looking at. 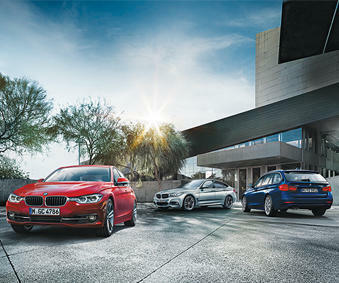 Budds’ BMW Oakville has made it very easy for our clients to use our car dealer website in Oakville. Our pre-owned inventory has a little more selection of vehicles than our new car inventory, but both inventories include high quality driving machines that will give the driver an optimal experience behind the wheel. Whether you are buying new and financing, or buying used, our car dealer website in Oakville has plenty of selection of used vehicles and you need not compromise on the quality. Through our car dealer website in Oakville, you can search through previous year vehicles to find the right BMW car for your budget. Again, you will be able to utilize the filter options so that you can search for the specific vehicle you are looking for whether it be a convertible, an SUV, a coupe, or a sports car. All of the vehicles information will be present as well like the mileage, finance options, the purchase price, the warranty information, the carproof report, and all vehicle specifications. If you live in the Oakville area, and you are looking for a reputable car dealer website in Oakville, we recommend that you visit the online inventory at Budds’ BMW Oakville today! You will not be disappointed with our selection of quality driving machines, and you can set up a test drive in one of these exceptional vehicles by scheduling it online, or by giving us a call.